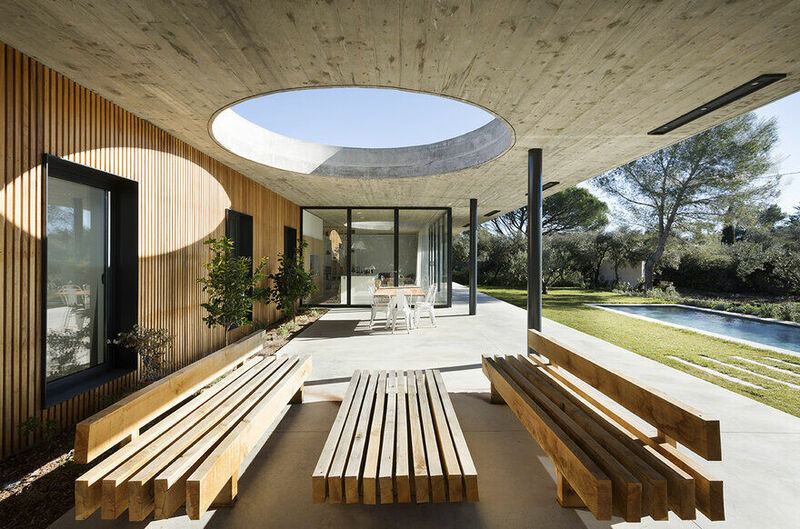 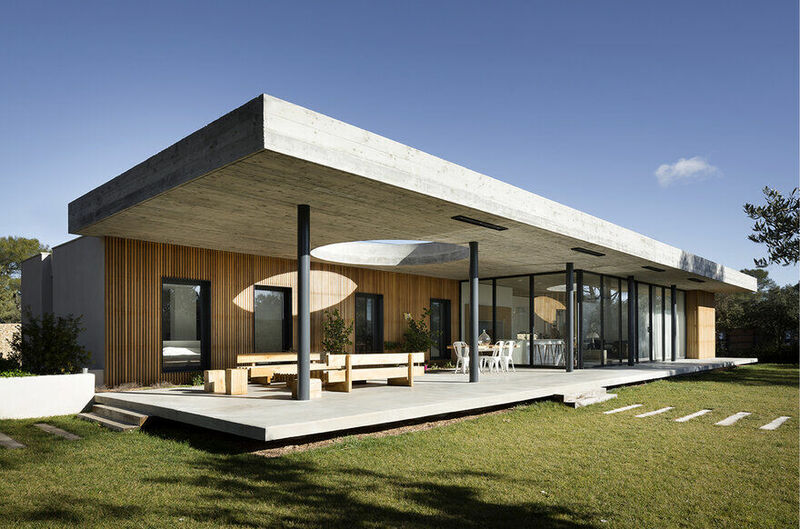 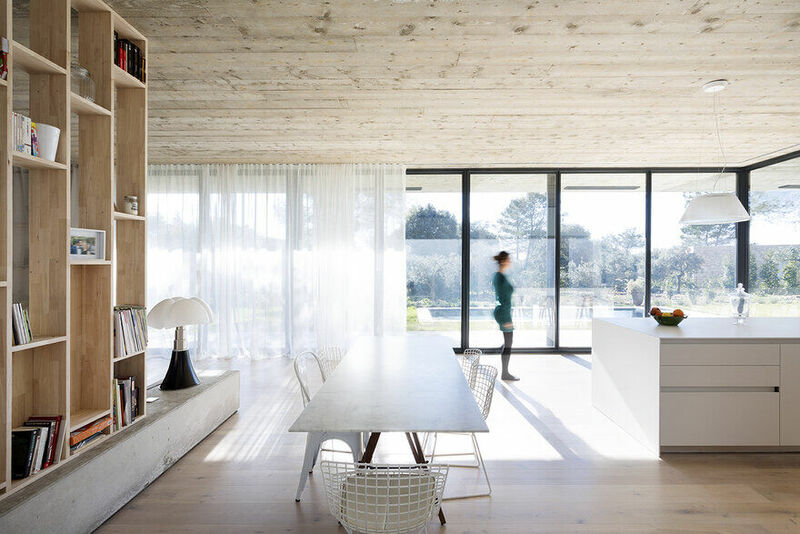 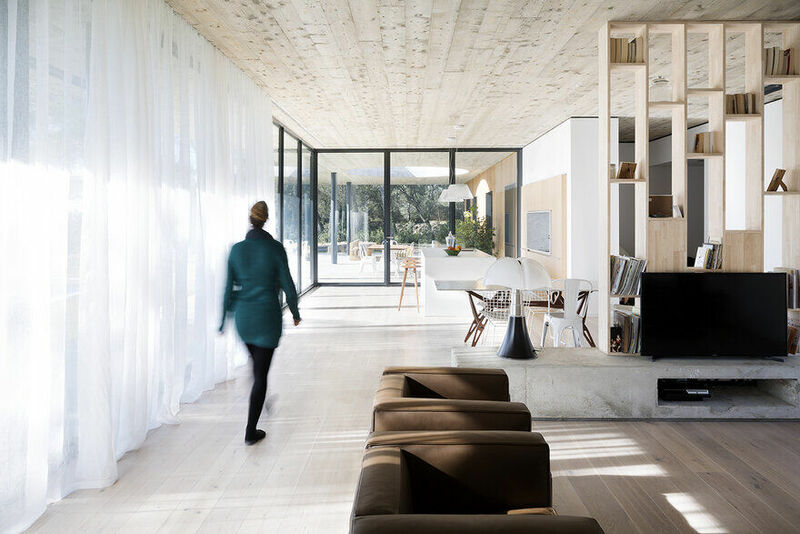 The family house « Maison 0.82 » is situated in the South of France, in the Scrubland near the roman town of Nîmes. 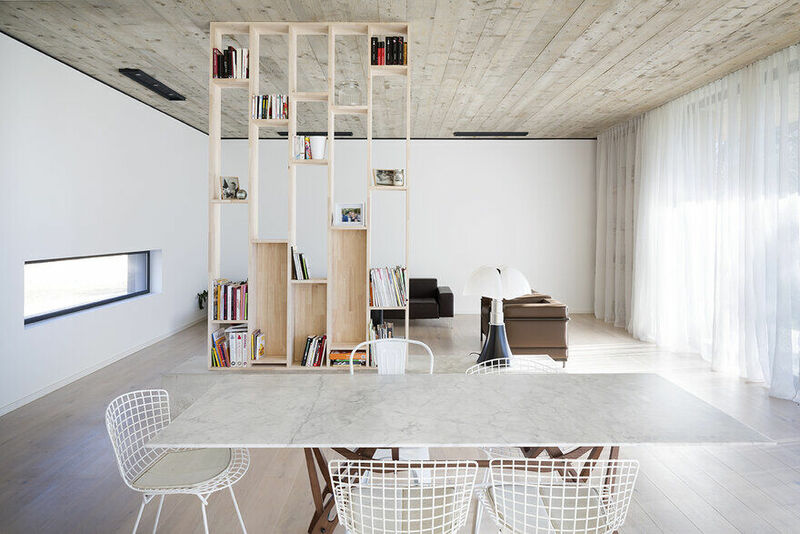 The main architecture consists in horizontality. 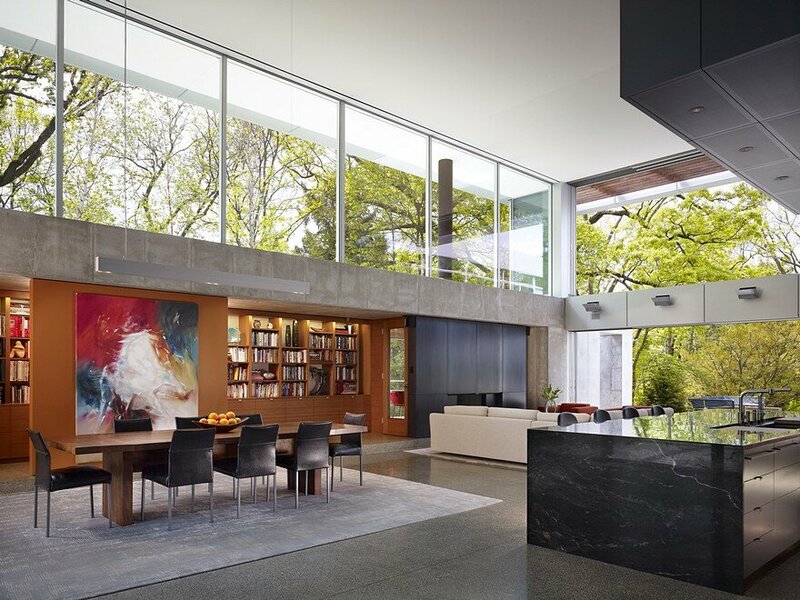 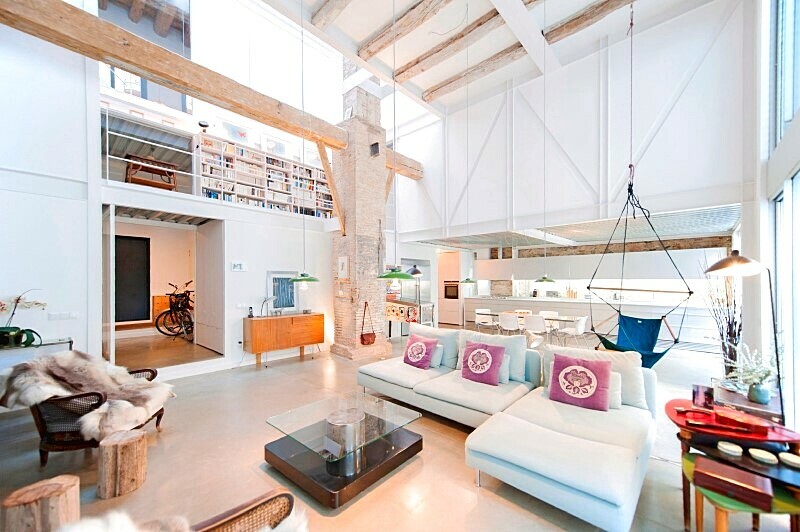 The constant connection between the inside and outside is created by the tall swinging windows in the living room. 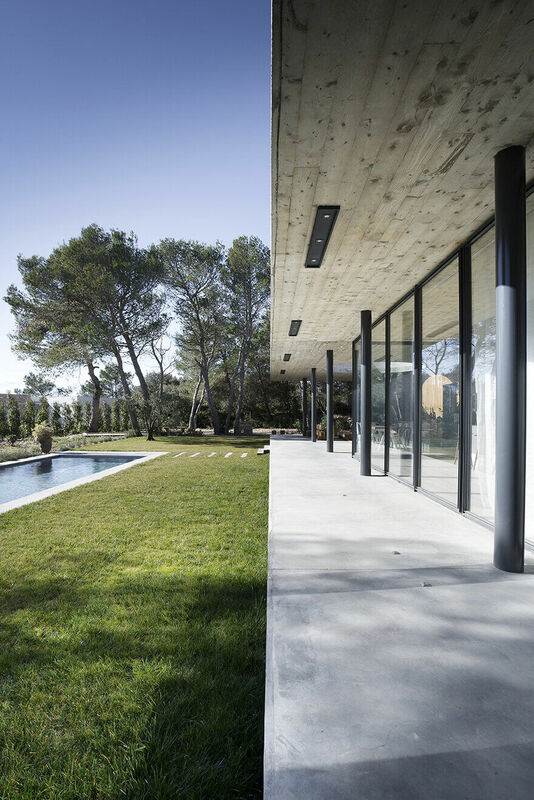 This transparency allows a special lighting during all day, which reflects on the concrete underfloor decking. 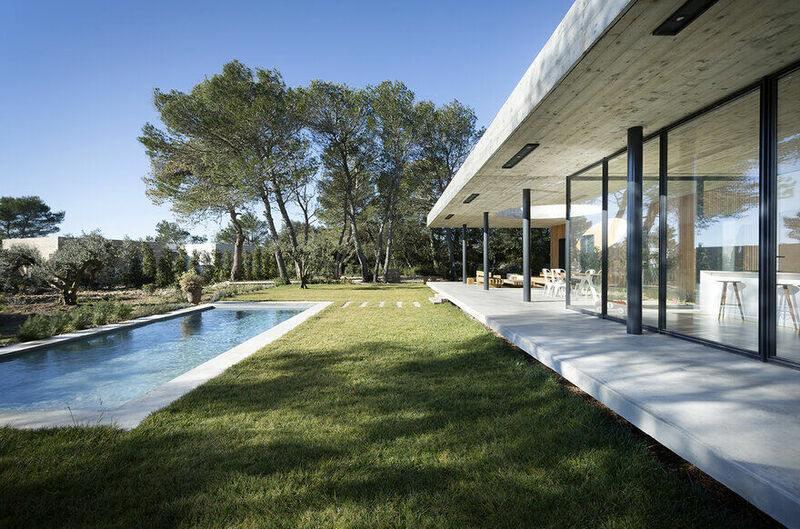 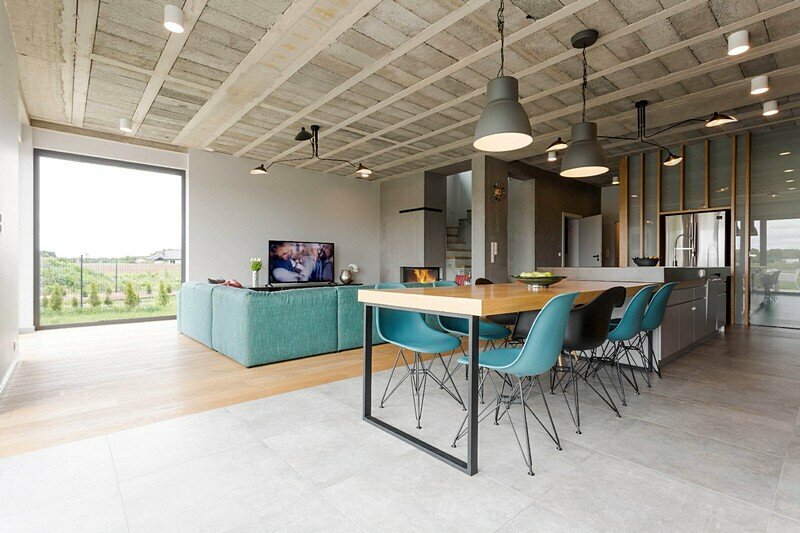 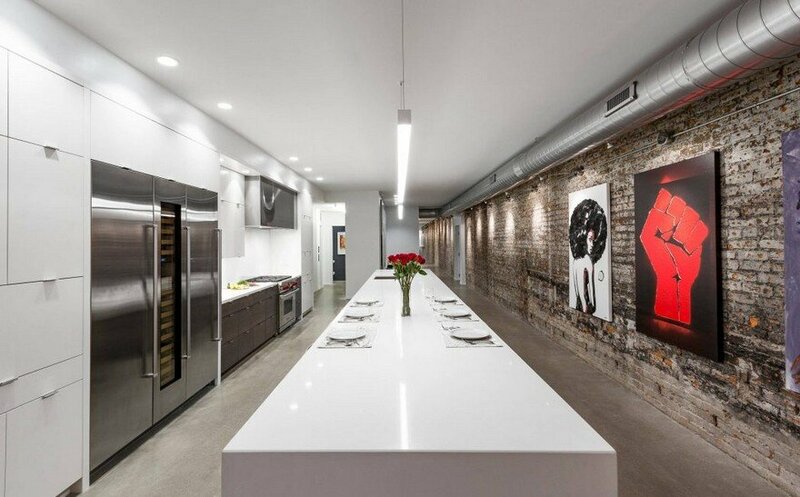 The gross materiality remains a will of the architect, which harmonizes the house with its close environment. 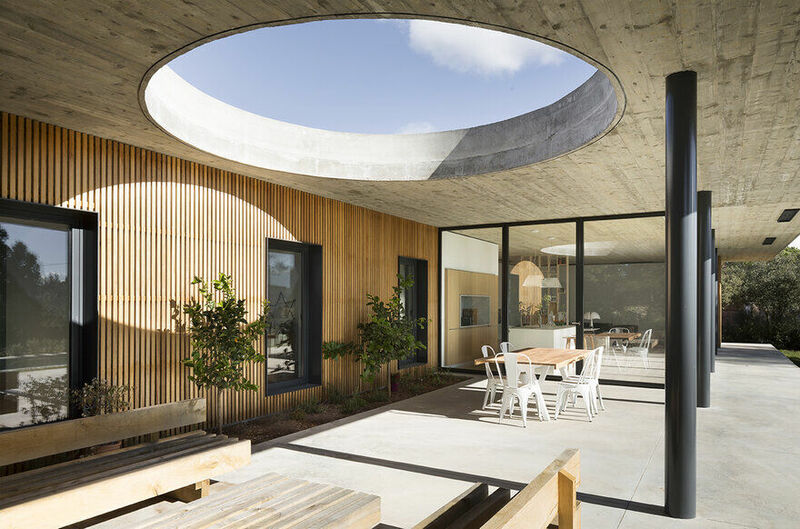 On the covered terrace, a large circular direct lighting offers a comfortable and changing light shaft which enlightens the kitchen also during the winter period. 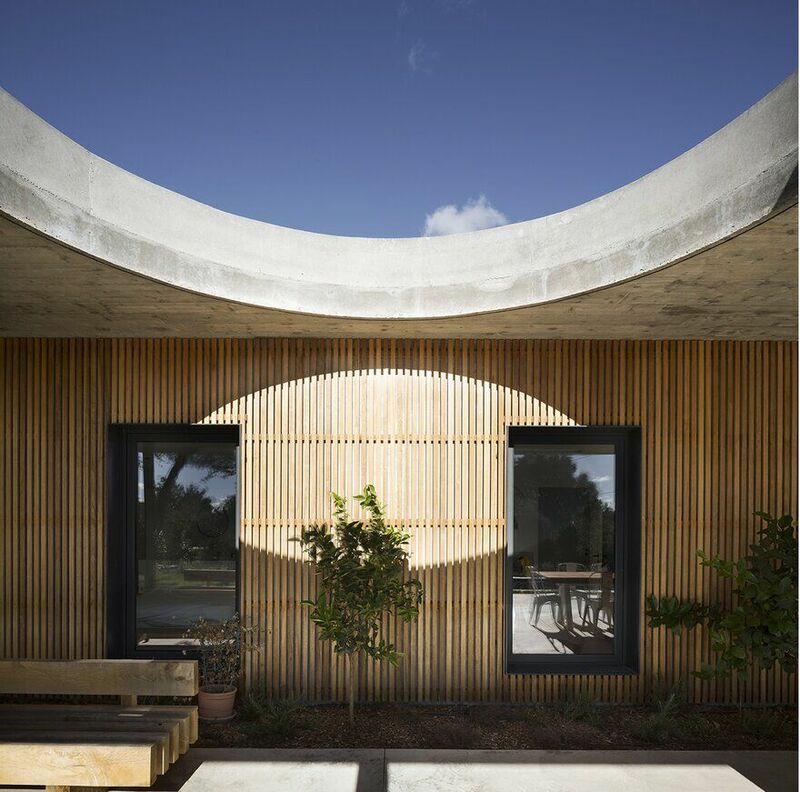 Through his 0.82 House, the architect affirms lightness associated with gross materiality, linearity with circular forms and subtlety through its integration into the surrounding nature.